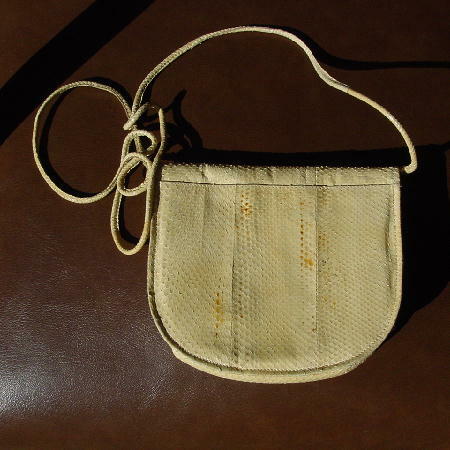 This vintage maize snakeskin purse was made in the Philippines. It has a padded cream lining. There is a snap closure under the front flap. 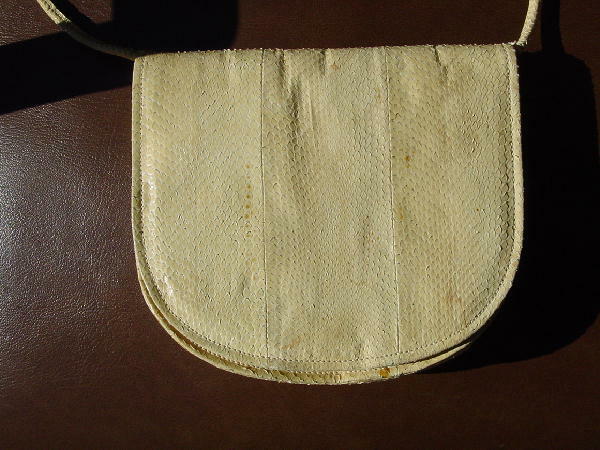 It has a 48" long snakeskin shoulder strap. It was used in a photo shoot with a Gap tank top, Louis Vuitton pants, Chanel jodhpurs, and the maize snakeskin belt.